We do not know if the prophecy Paul reports in 1 Timothy 4:1–3 was given to him directly or if he is reporting words from another prophet. It is certain, however, that “the later times” (v. 1) the apostle speaks of means the entire period between Jesus’ ministry and the consummation of all things. Otherwise known as the “last days” (Acts 2:14–21), this era began with Christ, in whose life, death, and resurrection God has confirmed His promise to bring about a new heavens and earth (Isa. 65:17). During this time, our Creator is beginning to restore His world as the gospel of Jesus Christ is proclaimed to all nations and people submit to His call to turn from sin and steward creation wisely. This restoration will be completed at the return of our Savior. And while the remnants of sin will trouble the created order until then, the curse has been canceled on the cross (Gal. 3:13), meaning that when Jesus literally took upon Himself the weight of God’s curse, He opened the door for God’s blessings now and in the future. All foods and other things created by God have therefore also been cleansed and restored (Mark 7:19), which is why Christians are no longer bound by the Old Testament kosher laws and why Paul can call everything that God has made good (1 Tim. 4:4). On account of all this, any teaching that would forbid the eating of certain foods as a prerequisite for salvation is to be rejected. Yet even though everything our Father has created is good, we do not automatically partake of His gifts in holiness when we sit down to eat. An object becomes holy when it is set apart for God and His purposes, and something can be good without being holy. This is what Paul is talking about when he tells us that food and other gifts are to be enjoyed gladly when sanctified by the “word of God and prayer.” As far as the “word of God,” the apostle is likely referring to Genesis 1:31 wherein our Creator calls everything that He made “very good.” Prayer would be the blessings the people of God commonly said before meals in that day (Mark 6:41; 1 Cor. 10:30). When we recall the goodness of God’s creation while we thankfully and prayerfully receive His gifts, we can be sure that even common things are made holy or set apart as fit for use in His kingdom. 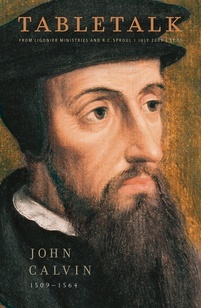 John Calvin writes that our partaking of food is not done in holiness “unless it be accompanied by true knowledge and calling on the name of God.” We are no better than animals, he says, if we do not give thanks to the Lord for His provision. As Christians, we need to be doing all we can to develop an attitude of gratefulness to God for all that we have. Regular prayer, before meals and otherwise, is one of the best ways to cultivate a thankful heart.